This pelican model will catch everyone's eye. Perfect for adding some fun in to a display, people will love to have their photos taken with this model, ideal size for children to stand next too. Looks great within our comical viking series. 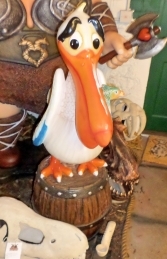 This fantastic resin statue, our pelican standing on a barrel, is ideal for historically themed areas, advertising or drawing attention to your business. 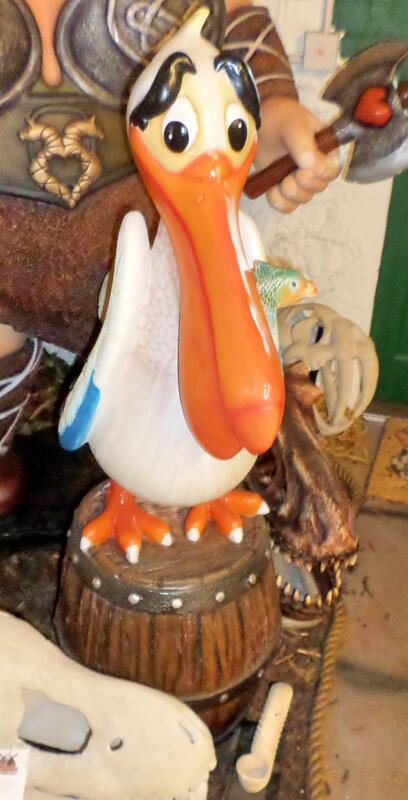 The viking pelican, holds a fish in his mouth, has blue tips to his wings and has thick eye brows to give him a friendly look. This model can be used in any themed area or in shops, businesses, pubs, restaurants, coffee shops, adventure golf courses, zoos, theme-parks.. or even in your own home.